Jeffrey Gundlach also know as a bond king is the founder of DoubleLine Capital LP. Gundalch is also a gold investor and said yesterday day its about to strike. He also bought puts against the S&P 500 as he sees a sell off. Gundlach said he still has exposure to gold and predicted gold prices would rise. 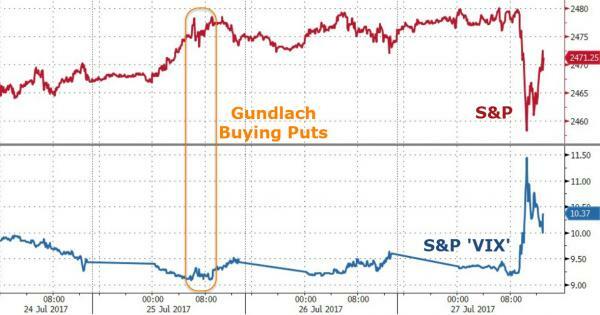 Please read the rest here; "This Is Like Free Money" Gundlach Bought S&P Puts At VIX Lows, Says "Gold Looks Cheap"